Learn how to Update Icreate I5062 USB 2.0 flash drive firmware .Download Icreate i5062 format tool V2.20 and fix your corrupted flash disk . 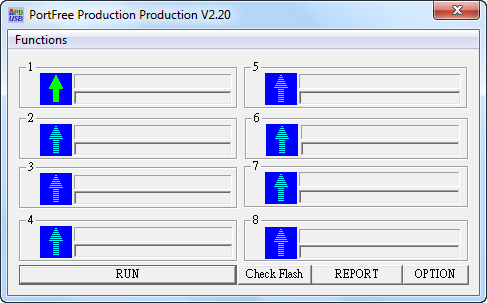 Icreate i5062 Formatter tool V2.20 is designed to update Icreate flash drive firmware .Icreate i5062 Format tool V2.20 can format and fix format errors for the following flash drive chip controller "Icreate I5060 ,Icreate I5062 ". Download Icreate i5062 recovery tool V2.20 from the download links in the bottom of this article . Insert corrupted USB 3.0 flash drive to your computer USB ports . Open Icreate i5062 Format utility , and if your flash drive chip controller is one of the following "Icreate I5060 ,Icreate I5062 " , you will see flash infromation appears on the program interface . 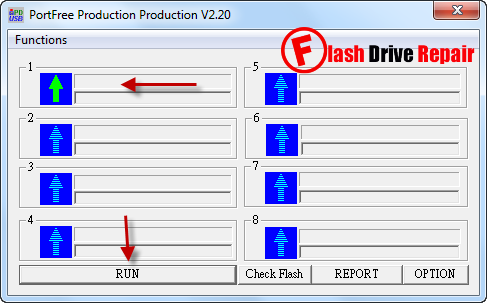 To format your flash disk , Click RUN . Wait until finish formatting your USB 3.0 flash drive .